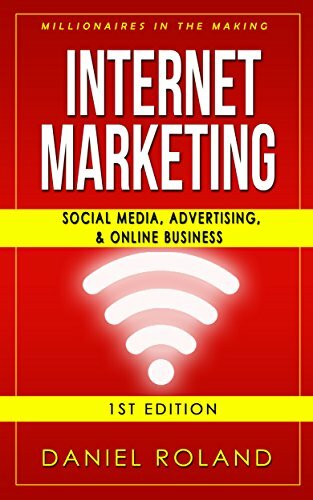 [PDF] Internet Marketing: Millionaires In The Making: Using Search Engine Optimization, Social Media, And More To Create An Online Business (Affiliate Marketing, ... From Home, Twitter, Pinterest, Instragra | Free eBooks Download - EBOOKEE! Description: The new age of making MILLIONS, Online. The internet is arguably the most important invention of the last century. With all the success stories of ordinary people creating Passive Income, or even becoming online Millionaires, from Advertising to Affiliate Marketing, or Blogging to Social Media Marketing, Thousands of entrepreneurs are aiming to become the next online Success Story. â€œHave you ever wondered what differentiates the FAILURES from the people who SUCCEED in online business?â€ â€œHow many times have you felt powerfully motivated to start up your own business online, until the negative thoughts find a way in, and convince you that â€œnowâ€™s not a good Timeâ€ or â€œIâ€™m different, it canâ€™t happen for me?â€ Reading through the pages of this book, you will gain the confidence to take financial control of your life and various topics explaining the following. -Understanding Internet Marketing, Search Engines, Networks, and Value -Online Marketing Techniques -Blogging -Video Marketing -Social Media -And More You Donâ€™t Need A Lot Of Experience, or A Degree to Create Wealth Online, and Become Financially Free. Which is Why ORDINARY People LIKE YOU, Have Come to Have Major Success on the Internet. All you need is the right MINDSET, PATIENCE, and the WILLINGNESS to learn. Want To Gain The Confidence to Create and Online Businesses, and Generate Wealth on the Internet? Click Download and Get Started Today. No comments for "[PDF] Internet Marketing: Millionaires In The Making: Using Search Engine Optimization, Social Media, And More To Create An Online Business (Affiliate Marketing, ... From Home, Twitter, Pinterest, Instragra".